Age, family history, cigarette smoking, exposure to radiation — these are some risk factors for cancer that most people know about. According to health authorities, you may add chronic stress on the list. 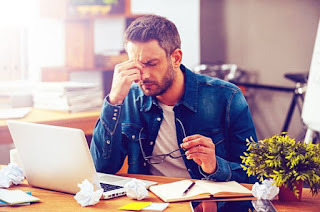 If you are leading a very stressful everyday life, keep on reading because this article concerns you — it’s all about the reasons why being stressed all the time may in fact increase your chance of suffering from cancer one day. Got a lot of family members and friends who are just as stressed as you are daily? Then make sure that you share this article on your different social media sites afterwards so that they, too, may know the sheer importance of keeping their stress levels to a minimum. Being stressed every now and then is actually beneficial as it’s something that enables you to accomplish seemingly-impossible tasks in no time. However, it is a completely different story if you are stressed constantly. It’s no secret that chronic stress has a number of health risks, and topping the list is heart disease. As if one deadly health concern is not enough, experts say that poor stress management can also increase cancer risk. Such can be blamed on the fact that uncontrolled stress can considerably weaken the immune system — that defense mechanism of your body that is constantly on the lookout for invading microbes as well as cells behaving erratically that could end up as cancerous growths. In addition, studies have shown that the presence of a lot of stress hormones in the body can cause the proliferation of cancer cells. Partly to blame for this is the ability of one of the stress hormones called norepinephrine to permit tumors to grow even more blood vessels that can pave the way for their much faster growth and spreading. Undergoing cancer treatment can cause a self-perpetuating cycle to come into being. For instance, chemotherapy and radiation therapy can weaken the immune system. And with an immune system that’s no longer in an optimal shape, cancerous cells lurking somewhere in the body are likely to go unnoticed. Also a massive contributing factor is the fact that a lot of people resort to unhealthy behaviors or habits whenever they are stressed. For instance, some end up lighting cigarette sticks — it’s common knowledge that smoking can increase a person’s risk of suffering from lung cancer as well as cancer of the mouth, throat, esophagus and stomach. Some wind up drinking alcohol excessively, and it’s also a risk factor for many types of cancer. Then there are those who resort to stress or emotional eating. The consumption of unhealthy foods can cause obesity, which is something that can cause cancer to strike. Someone who is stressed all the time may skip going to the gym on a regular basis, thus increasing his or her risk of becoming obese or overweight. Related: Is Sugar Consumption Really Linked to Cancer? Just because you are leading a stressful life doesn’t necessarily mean that you should brace yourself for an impending battle with cancer. In order to keep your risk of developing cancer to a minimum, make sure that you engage in all sorts of stress-relieving activities such as getting a massage, listening to soothing music, taking a rejuvenating bath or meditating. It’s also a good idea for you to identify which everyday stressors can be avoided — and then avoid them.